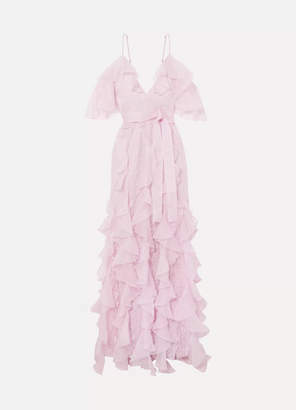 Alice McCall You're The One For Me Gown in Peach. - size Aus 4/US 0 (also in Aus 6/US 2,Aus 8/US 4,Aus 10/US 6) Alice McCall You're The One For Me Gown in Peach. - size Aus 4/US 0 (also in Aus 6/US 2,Aus 8/US 4,Aus 10/US 6) Self & Lining: 100% poly. Dry clean only. Partially lined. Crinkled chiffon fabric with boucle accents. V-wired front and grosgrain waistband. Exposed back zipper closure. Imported. AMCC-WD109. AMD27169. 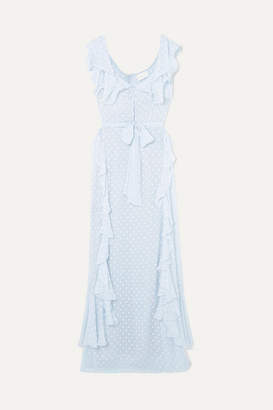 Alice McCall comes to us from London, bringing her intricate cut out dresses and girlish bohemian style. Simple and charming, a memorable keepsake for any wardrobe.